WallStreet Window has some value in the education materials provided and could help some new investors. The Wall Street Window is an online community for investors and analysts interested in tracking and analyzing the market on a daily basis. In this Wallstreet Window review I explain why you should get involved with the service! The website itself provides content for free, including articles on the current market, advice on gold selling, and educational materials, but the main feature is a paid service for investors seeking advice. Please read the entirety of this Wallstreet Window review to ensure you get the full picture. Michael Swanson, the founder of the service, is the primary contributor to both the website and service. His service is focused on analyzing trends within the markets and sharing the most important information with subscribers. A great deal of this analysis is focused on predicting future market crashes so that you can be more prepared to buy and sell at the right time to prevent big losses. GET YOUR FREE STOCK REPORT FROM MIKE SWANSON AT WSW! 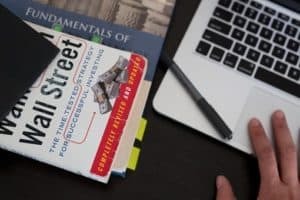 As mentioned previously, there is a great deal you can get for free from Wall Street Window, including regular educational materials and advice on the trading day. One of these free services is an email with trading lessons for beginning investors. After this initial email, you will receive weekly updates on new information that has been posted to the site. You can also follow Michael’s blog on the website. It updates fairly regularly (about once a day) and provides straightforward advice and expectations about the upcoming trading day. In addition to the blog, you can choose to follow along with Mike’s weekly investment podcasts, which are available for free on the website. These cover dozens of topics, including market trends for any given period, lists and explanations of different investment strategies, and guest speakers who have a wealth of information to share. That being said, if you choose to invest in a paid subscription, you’ll have access to more resources. You will be subscribed to a monthly newsletter with much more specific and up-to-date information than can be found elsewhere on the site. It contains Mike’s analysis of the markets, which includes specific stocks that he thinks you should choose to invest in now. It’s very focused on examining the big trends right now and focusing on immediate success and growth. Resources for paid subscribers also include analysis and advice on gold and whether it’s time to invest or sell. That being said, Mike generally suggests other alternatives to betting against or for gold because of its unpredictable position within the markets. Mike also includes information on which stocks he believes are set to crash because of the nature of the market at any given time. To do this, he uses metrics to predict the best investments by analyzing patterns within the stock market. One of the biggest advantages of this WSW service is that the initial purchase is fairly affordable, though not as cheap as other resources. Another important feature is the money back guarantee- if you decide that this product really isn’t right for you, you can request a refund within 60 days. That being said, if you focus on following Mike’s advice and strategies, you will probably find that there’s enough of a benefit to remain a subscriber. The resources provided by Wall Street Window are also notably straightforward to follow. This is an excellent introduction for beginners with no background in investment. At the same time, there is plenty of information for investors who would like to learn more about Mike’s strategy. A lot of Mike’s professional advice is catered toward directing clients on the best way to avoid losses during upcoming market crashes, so this may be a valuable resource for those interested in predicting and preventing significant losses. At the same time, Mike focuses on analyzing current trends so that you are prepared for the daily market while anticipating the possibility of stock or market crashes in the near future. Disadvantages of Wall Street Window Review – Honesty is important! Although Wall Street Window offers a number of valuable services, there are several warning signs that you should take into account before investing your time and money here. First of all, just from a superficial view, there are little to no legitimate testimonials and reviews from customers on the website, which makes it difficult to believe that the services Mike sells are being well received. Upon further research off of the site, it is clear that a few of his past clients have given him poor reviews. There are a few apparent reasons for this. First of all, the credibility and reputation of Mike and his service are not very high. I have bumped into several complaints that the ideas and advice shared via his platform are actually lifted from other sources. Unfortunately, there is no evidence to counteract these claims, because there are no legitimate sources posted on Mike’s website. This made it very difficult for me to rely on him and his advice. Another factor to consider is that this is not Mike’s first rodeo- and the others have not gone well. Past clients have critiqued his previous services, none of which were successful. Although this may not be a reflection on his present offerings, it is an important consideration to keep in mind. Finally, one of the things that makes me most uneasy about this service is that it’s based entirely on claims that the market is crashing and only Mike has the knowledge to fix it. The data on his website has been reported to be skewed to show a more negative picture of the market. Additionally, the website itself does not have a trustworthy appearance; it lacks sources and looks much less credible because it is poorly organized and designed. Perhaps an update would help, because right now the site looks straight out of the 1990’s. Mike’s products sell so well because his entire strategy is based on surviving and thriving market collapse. This is especially attractive to clients who have lost money and property in previous market crashes and who think they can ride the wave in the next one. However, Mike’s strategy and advice is not always reliable, nor does it appear to be entirely original. Numerous clients and investors have reported that Mike derives both his strategy and his picks from other sources. Additionally, there have been a number of reports in which clients have lost their subscription but were still charged, or people who felt that they did not benefit from investing in the newsletter. To be entirely honest, I did not feel that I received enough of a gain from investing in Mike’s service to justify the cost of subscription. There were too many warning signs for me, detailed above in this Wallstreet Window review, from the poorly designed website to the lack of credible sources available for clients, and I could not continue to pay for a service that I did not believe in. 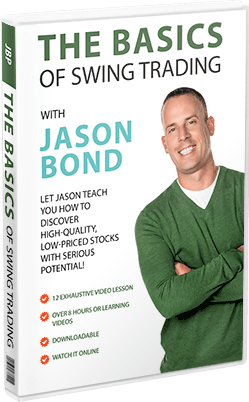 That being said, it may be an appropriate investment for first-time investors as an introduction to market analysis but I have had much more success with Jason Bond Picks. I hope that you have enjoyed this Wallstreet Window review and perhaps found it helpful. I had a bad experience with Swanson a couple of years ago. I was a subscriber to his premium service and when he redesigned his service (eliminated member blog/discussion forums) he offered current members a lifetime membership that was about 2x the annual rate. At the time, my mother was very ill and I wrote to him that I would like to become a lifetime member but it would be feasible in a few months. He wrote back and told me that when it was time to renew my annual membership, that I could write to him and he would do the lifetime membership at that time. Needless to say, when the time came I forwarded a copy of his email along with my request to become a lifetime member…and he rejected my request with the explanation that the “billing methods had changed” (sic). Needless to say, I felt this was a poor excuse not to honor his previous committment.